Welcome to our November eNewsletter. As we continue to focus on providing leading business solutions to our clients it has been pleasing to see our shared successes recognised over the past month with several industry awards. 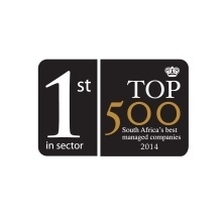 It is also an honour to see Aurecon again judged the number one company in South Africa in the engineering groups sector. 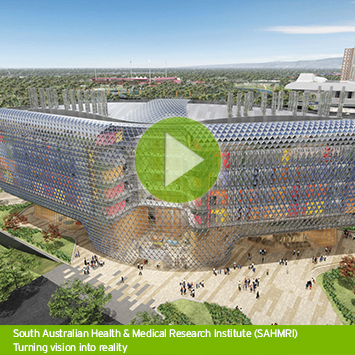 I have been keeping an eye on the South Australian Health and Medical Institute (SAHMRI) as it progresses towards completion. It really is a world class building. 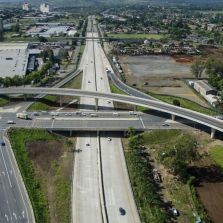 Click on the video on the left to find out about the ambitious design and sustainability outcomes. In this eNewsletter we share updates on our major projects, recent appointments, award wins, and community initiatives. We also feature our latest thinking on data centres and solar power. Please contact anyone at Aurecon if you have any questions regarding the contents of this eNewsletter. Aurecon has played key roles in two projects recently recognised for excellence in project management - the Adelaide Desalination Project and Azure Blue Redcliffe aged care facility. Kourosh Kayvani, Peter Murenu, Stephen Hogg will be presenting at the Lightweight Structures Association of Australasia Conference in Auckland. 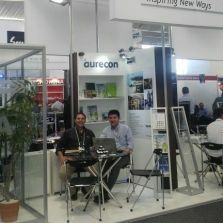 Aurecon is presenting seven papers at the Australian Acoustical Society conference in Adelaide. 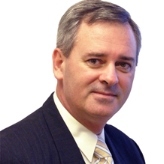 Stephen Logan will be presenting on smart terminals at Modern Airports Africa in Nairobi, Kenya. Aurecon will have several speakers at the New Zealand Geotechnical Society’s 19th Symposium in Queenstown. 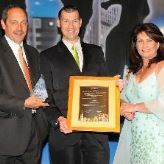 At the prestigious Institute of Risk Management South Africa (IRMSA) Awards, Aurecon was named the category winner in the ‘Environmental Initiative’ category; and runner-up in the ‘Mining, Resources, Construction and Engineering’ category. In this Rail Express article, Ken Devencorn, Aurecon’s Rail Leader, shares insights on Jakarta’s long-awaited passenger rail development. 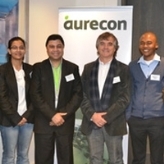 Aurecon is investing in the education of previously disadvantaged students via sizeable donations towards the civil engineering departments of the University of Cape Town, Stellenbosch University and the University of Pretoria.